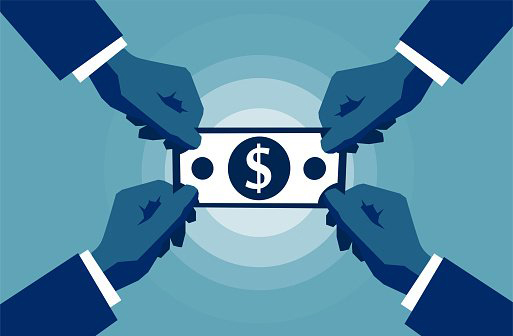 In December, Van Hollen requested that the SEC review whether insiders are deploying repurchases to boost their compensation instead of using those dollars to make the investments that strengthen their companies and create new jobs. In a March 6 letter to Van Hollen, SEC chairman Robert J. Jackson wrote that the agency had performed an extensive study revealing that when companies announce buybacks, an unusually large number of executives sell shares in the days that follow. Jackson noted that a buyback announcement signals that management believes its shares are too cheap, causing stocks to rally, on average, by about 2.5% in the days that follow. Executives, says Jackson, pounce on that bounce to sell shares. “That creates the risk that insiders’ own interests––rather than the long-term needs of investors, employees and communities––are driving buybacks,” wrote Jackson. It may be sound policy for the SEC to restrict insiders’ freedom to sell shares right after a buyback announcement. But the crucial issue is whether the SEC will join bi-partisan buyback foes in Congress, and move to impose new restrictions on repurchases. It’s possible. Chairman Jackson is now taking the position that CEOs are likely making crucial decisions on whether to reinvest in the business or return cash to shareholders based not on what’s best for the company, but on boosting their own pay. That view is questionable. CEOs and other top managers get most of their comp in equity awards, chiefly restricted shares and stock options. Those grants typically vest over four or more years. C-suite executives might have an incentive to cash out using buybacks that deliver a quick bump, but weaken the enterprise and depress the share price in the years to come, if they held––and were systematically selling––a lot more unrestricted stock than they hold in equity awards they’ll collect in the future. The SEC letter to Van Hollen does not cite the dollar amounts of the buyback-related insider sales for individual executives, or compare them to the trove they’re still holding, either in unvested awards or in unrestricted accounts. If indeed CEOs can get richer by raising the value of their shares in the next five or six years than cashing on an ephemeral spike by pushing buybacks, then they should be deploying capital where it achieves the highest possible returns, at least over the medium-term. And that’s a strong possibility that Congress and the SEC should consider before restricting repurchases, a policy that risks damaging unintended consequences. For CEOs and their lieutenants, the principal lever for raising the stock price is growing earnings-per-share. Dominating the U.S. economy are mature behemoths in steel, autos and packaged goods that generate far more profits than they can profitably reinvest in new plants, warehouses, fabs, or labs-––even such formerly go-go names as Apple and Microsoft now fit this profile. Here’s why these stalwarts, and many other players that need to make tough choices between reinvestment and repurchases, have a powerful incentive to return cash to shareholders: If a company reinvests a big portion of profits at less than competitive returns, say in pokey old-line businesses or expensive acquisitions, earnings-per-share will badly lag what EPS would have been if the cash had gone to shareholders in dividends, or the new favorite, buybacks. And once again, it’s rising EPS that drives share prices, and wins CEOs a bonanza on their options and restricted stock. By the way, if Steward had found good places to invest the 30% of profits it returned in buybacks, the result would be exactly the same. That’s why buybacks per se don’t raise EPS and stock prices. The extra profits from the reinvested earnings would have exactly compensated for leaving the share count constant at 1 billion. Which strategy, hoarding capital or paying it out, was better for the overall economy? Over our six year window, Steward reinvested $5 billion of its earnings in businesses that grew briskly, created jobs, and generated strong returns. It handed another $5 billion back to shareholders. In turn, pension funds, endowments, and individuals had the freedom to funnel those funds into the fast-growing, cash-hungry businesses––the Apples and Amazons of the future––that deliver competitive returns on new capital, and create lots of jobs.